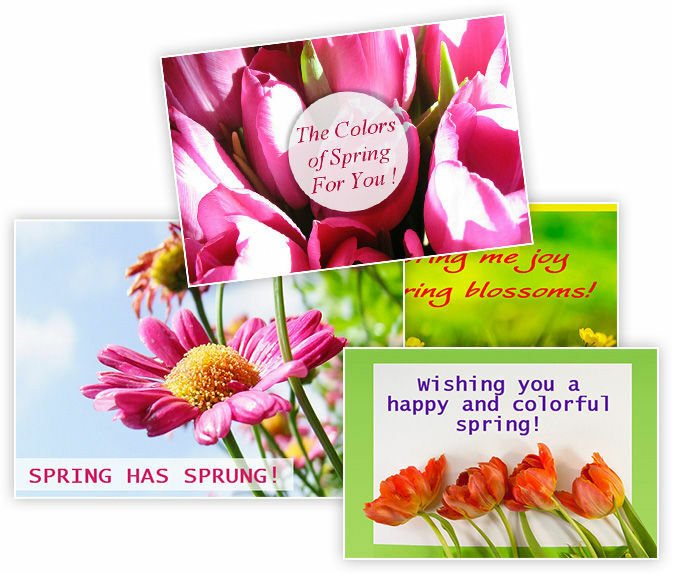 Brighten up your dear ones' springtime by designing sunny and colorful spring greeting cards. Email professional looking ecards directly from within StudioLine. Arrange your personal photos and texts, or use one of our time-saving templates. Download the clipart for the greeting card. They come complete with image tool "presets". If you have any email software installed on your computer, you can send your greeting card with a few clicks. From the "File" menu, choose "Send via Email > Send Collage via Email". This opens a new message in your email software, with the collage as an attachment, ready to be sent. To create a greeting card, click "New" in the toolbar and select "Collage". Choose a name for your card, then pick the paper format "Card (5 x 8 inch)" and "Landscape" orientation. Start StudioLine Photo Classic and select your photo in the image archive. As a final touch, create a drop shadow around your circle. Choose the circle, open the image tool "Buttonize & Shadow" and pick the Drop Shadow effect. You control the opacity of the circle with the "Transparency" image tool. From the main toolbar, choose "Add > New Text Object", click in the circle and type your greeting. Select the entire text and decide on the best size, font and color. HINT: Use the eye-dropper to pick up a color tone from your motif. Place the image at the intended location and adjust the size as needed. When done, click the right mouse button on the image and choose "Lock Position" from the context menu. Click "Add" on the toolbar and choose "Image from Image Archive". 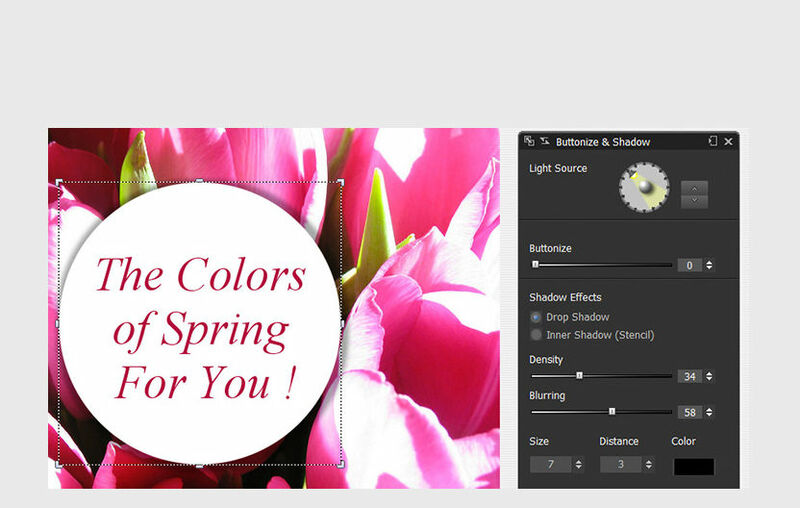 Navigate to your folder and drag the desired image motif onto the empty greeting card page. 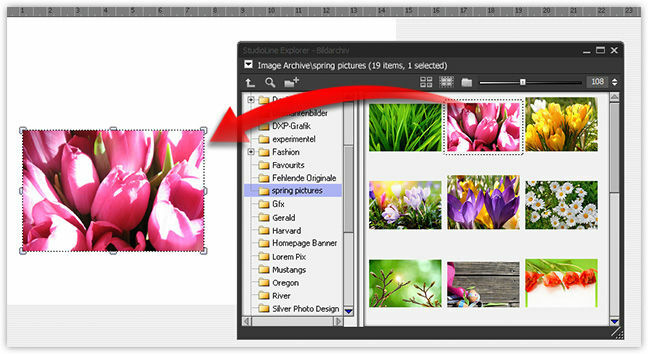 Choose "Add > Image from Image Archive", open the Folder "Spring Photos", and drag the solid-black circle onto your motif. 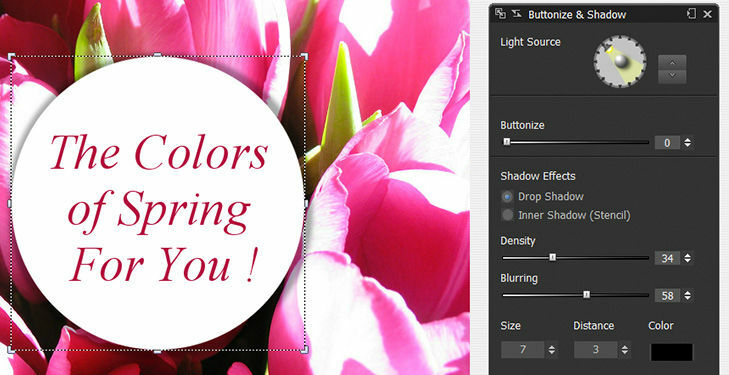 Open the image tool "Colorize", click the color field and choose white from the color palette. 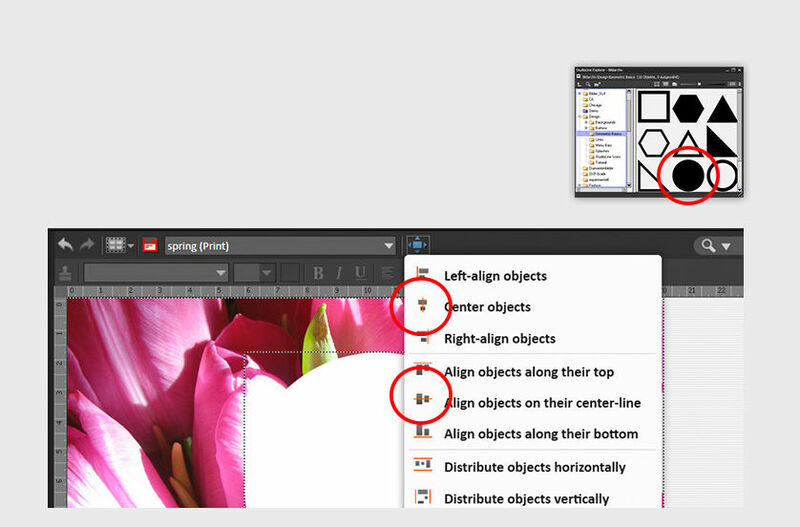 Select both the image and the white circle, click the "Align Objects" button on the editor toolbar. Then, center both items and also align them along their center-lines.